Cable Bay’s first ever runner, the Archie Watson-trained Electric Ladyland produced an outstanding display to jump from the outside barrier, at Lingfield Park in the UK take the lead, and pull away in a two-year-old course-record time over the 5f to become the first winner for her Group 2 winning, Group 1 placed sire. “The basis of Australian breeding is 2 year-old speed. 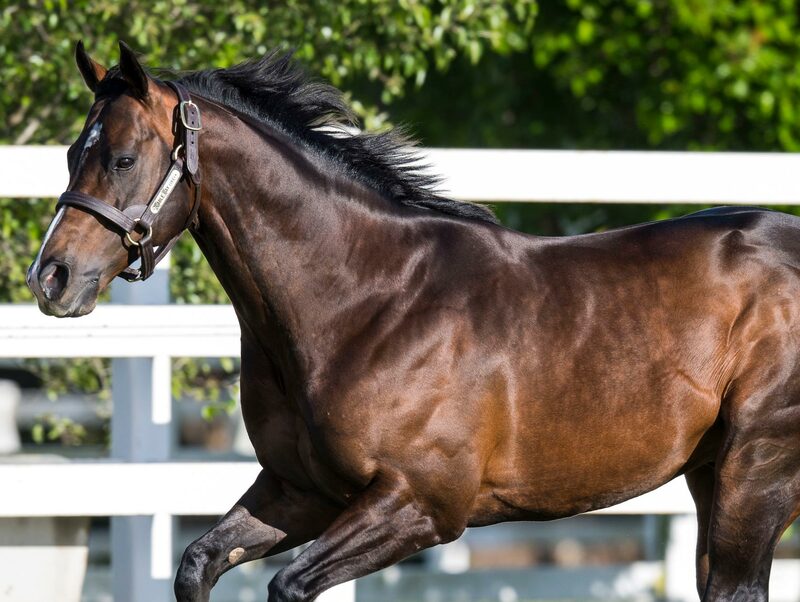 Cable Bay’s first runner, four days into the European season emphasises the excitement that surrounds this stallion. Electric Ladyland showed a wonderful intelligence and skill on debut and highlighted all the qualities we are experiencing in his first crop of weanlings in Australia. The stud career of Cable Bay is a space of immense promise and anticipation.” – James Price, General Manager Commercial at Woodside Park Stud. The local market will have access to Cable Bay’s first crop weanlings at the Inglis Broodmare and Weanling Sale in May where Victoria’s Merrivale Farm will consign a pair of fillies; Lot 142 is the second foal out of a half-sister to the Group 3 winner Adorabeel, while Lot 183 is out of the Dehere mare Chalk Ridge, from the family of Group 1 producing sires El Gran Senor and Try My Best and Domesday. *Article courtesy of Woodside Park.